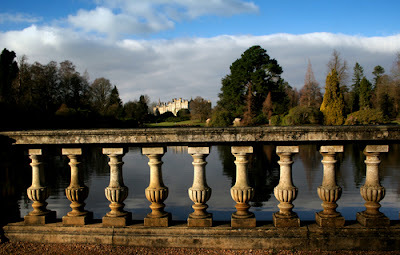 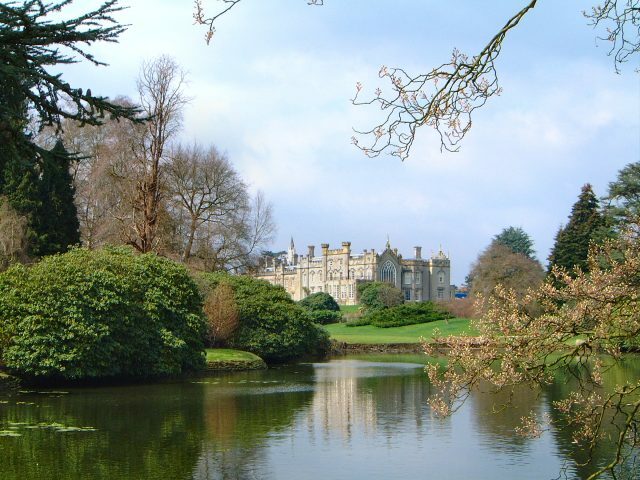 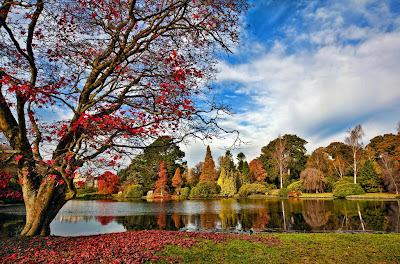 Sheffield Park Garden is a National Trust property situated on the edge of the Sussex Weald midway between East Grinstead and Lewes, 5 miles NW of Uckfield on the A275. It is a beautiful 120 acre woodland garden originally designed for the first Earl of Sheffield by Humphry Repton and Capability Brown in the 18th century. In the nineteenth century the third Earl made Sheffield Park famous for country house cricket and also transformed the garden into an aboretum of both exotic and native conifers. 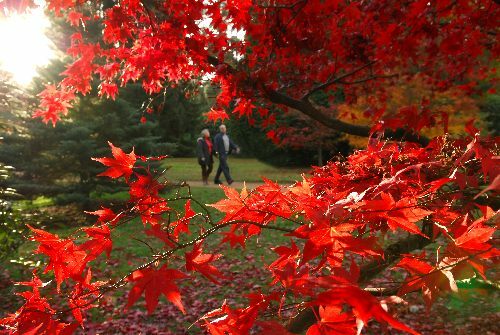 Later in 1910 saw the arrival of Arthur Gilstrap Soames who transformed the garden with clumps of lakeside rhododendrons so enjoyed by Virginia Woolf and also introduced the spectacular autumn colour with Japanese maples, nyssas and beds of autumn gentians. 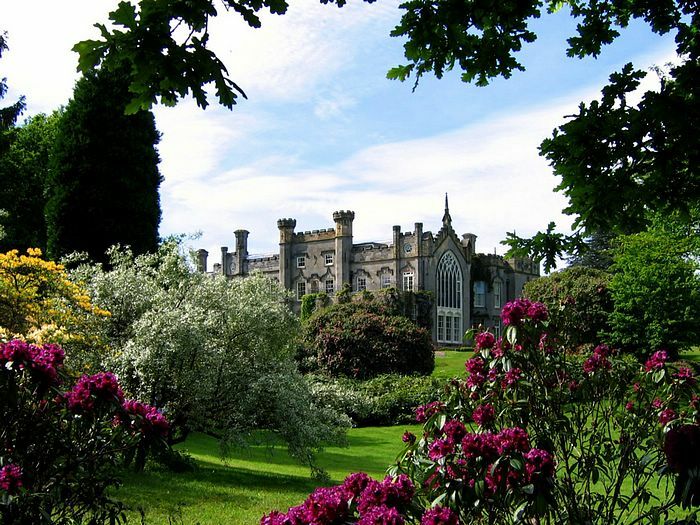 The garden is overlooked by the neo-Gothic mansion Sheffield Park House which is privately owned and unfortunately not accessible to the public. The gardens original design was of trees, manicured lawns and two serpentine lakes. 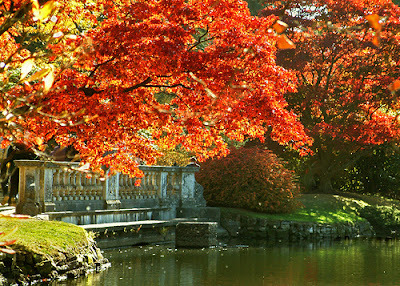 Later these two original lakes were extended to form the present chain of five, with picturesque waterfalls and a 25 foot cascade between the different levels . The shores of the lakes are planted with a superb variety of trees and shrubs. 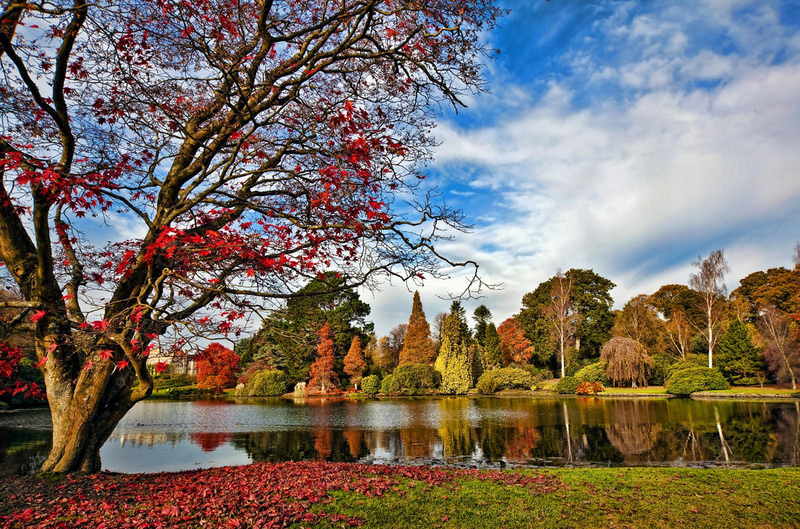 The great storm of 1987 sadly devastated the lakeside plantations, but with the gardens legendry vigor it is making a gradual recovery. 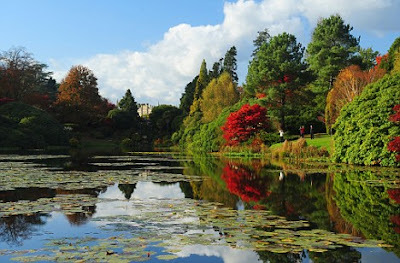 The gardens are at their best twice a year, in spring with daffodils, narcissus and a little later azaleas and rhododendrons. 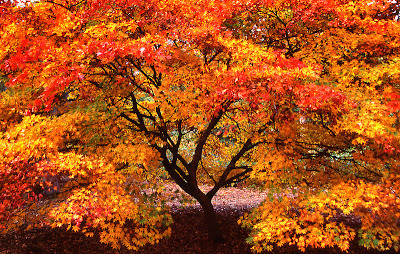 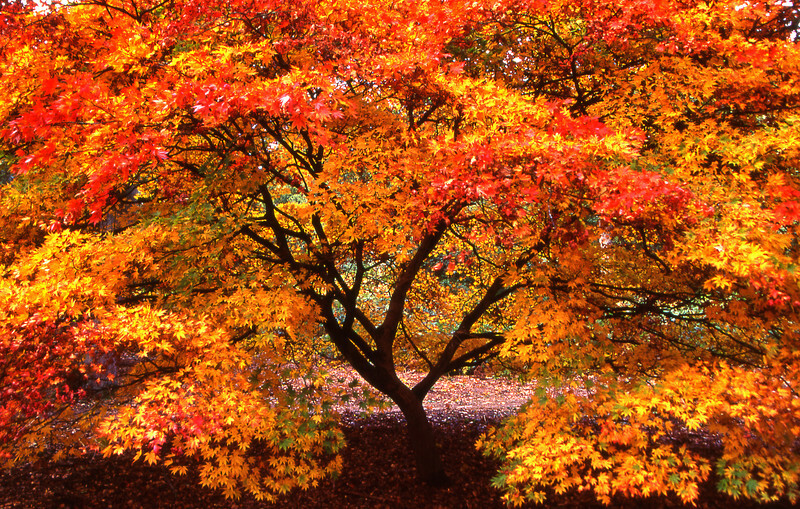 In October the spectacle of the brilliantly coloured Autumn foliage is stunning.